The size of the worldwide Turkic diaspora is ballooning, Turkey’s culture and tourism minister said on Thursday. 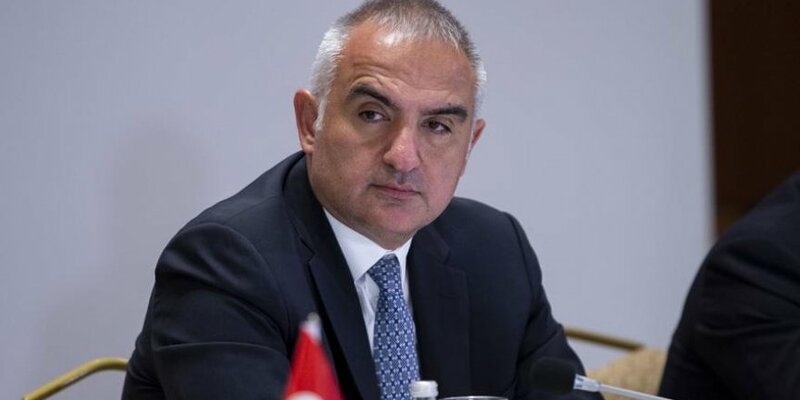 "As soon as Uzbekistan and Turkmenistan -- which we would like to see as members of this momentous formation -- are included, the diaspora of our countries will reach a size not to be ignored worldwide," Mehmet Nuri Ersoy said, adding that the diaspora of the Cooperation Council of Turkic Speaking States (TDIK, or Turkic Council), from Turkey, Azerbaijan, Kazakhstan and Kyrgyzstan, already numbers nearly 15 million. Speaking at the third meeting of Ministers and Heads of Institutions in Charge of Diaspora Affairs in Turkey’s capital Ankara, Ersoy said that the member countries will benefit more and more from diaspora activities. Ersoy stressed that the common values of council member states provide a great potential for the solidarity between them, adding that diasporas constitute an important element of this solidarity. He also said a joint action strategy and action plan to be signed Thursday will be a step forward for protecting expats’ dignity and interests. Stressing the importance of acting with a common vision and cooperation, Ersoy said: "Promoting the solidarity and cooperation of our citizens has become a vital issue." Ersoy underlined that Turkey currently has around 6.5 million citizens living in 155 countries around the world, while at the same time Turkish soil is host to some 3.5 million Syrian refugees. He said the second Turkic Council Diaspora Forum -- scheduled for the next year -- will be hosted by Turkey. The council was established in 2009 as an international intergovernmental organization, with the overarching aim of promoting comprehensive cooperation among Turkic-speaking states.